Dr. Natalia Stakhanova has received a lot of media coverage lately for her research which hopes to unlock the origins of malware and the hackers who write it. 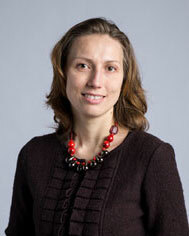 Dr. Stakhanova is the New Brunswick Innovation Research Chair in Cyber Security at UNB. Her five-year research project looks for the source of the malware attack, the tools that were used to develop it and whether or not it was random.